Collect and play your favorite folk, bluegrass, country or old-time songs. Is there a better alternative to Chords Notes Player? Is Chords Notes Player really the best app in Music category? Will Chords Notes Player work good on macOS 10.13.4? With Chords Notes Player you can collect and play your favorite folk, bluegrass, country, or old-time songs on chord charts handouts which are easy to follow. Play along with a realistic sounding folk backing band and enjoy your practice. 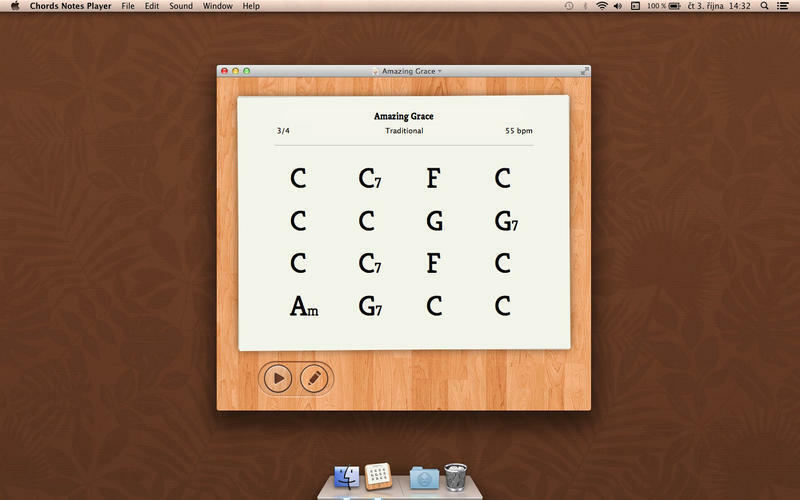 You can now easily build your solos, work on your improvisation skills, and jam on all your favorite songs. Download arranged songs and tunes from the Internet for free. Create, edit, print, and easily transpose chord-chart handouts of your favorite songs and follow them while practicing or jamming. Chords Notes Player needs a review. Be the first to review this app and get the discussion started! Chords Notes Player needs a rating. Be the first to rate this app and get the discussion started!